For automobiles lovers, a visit to the Autostadt Wolfsburg, the visitor attraction adjacent to the Volkswagen plant and headquarters, is a unique experience. The cross-brand Automobile Museum ZeitHaus gives fascinating insights into vehicle production. Here you will find pavilions dedicated to Lamborghini, Bentley, Bugatti, and Porsche, along with the Premium Clubhouse. But this city not only attracts car fans. Landmark buildings, such as the Fallersleben Castle (Schloss Fallersleben), the Neuhaus Castle (Schloss Neuhaus), the Schulenburg, home to the von der Schulenberg dynasty, are popular. The Wolfsburg Designer Outlets’ Shopping Center as well as the world’s largest water-flame-laser-video fountain show, The Wolfsburg Water Show, with fountains of up to 70 meters high and over 130 flame systems, along with the Allersee Recreational Area, will surprise and delight you. Have you got a few hours of time left in Wolfsburg? Or would you like to spontaneously extend your stay for a couple of days in this exciting city and surroundings? The TOP-ALLIANCE Customer Care Team will be happy to arrange a tour of this beautiful city in one of our chauffeured luxury limousines. TOP-ALLIANCE’s extensive, late-model fleet offers you a wide range of exclusive first- or business class vehicles as well as spacious minivans for small groups and luxury buses, all with paired with excellent chauffeurs. Take advantage of our airport pickup and drop-off options, transfer services from A to B, or hourly hire and sightseeing tours. Take some time after a long, busy day to enjoy the sights before business takes you elsewhere. Our professional team ensures you an unforgettable stay in Wolfsburg. How do I book? Booking is so easy, you can do it in three steps around the clock: Step 1: Select either a transfer (trips from A to B, say, to and from the airport or from the hotel to the convention) or an hourly hire, which means a dedicated chauffeur is at the guest's disposal for the time period you book. Step 2: Choose from our exclusive range of vehicle models and let us know how many passengers and how much luggage to expect, along the pickup and drop-off times and locations. Step 3: Select a payment method. We accept credit cards and bank transfers, or we can invoice you. TOP-ALLIANCE offers a friendly, experienced 24/7 live support booking team which will gladly help you with all your transportation needs. 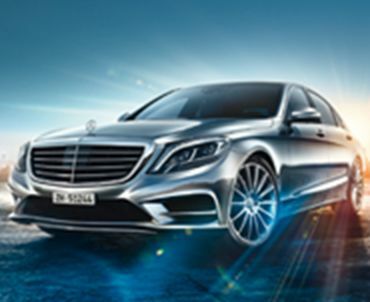 Experience the Autostadt Wolfsburg in one of our elegant TOP-ALLIANCE limousines. Services in the listed cities are provided by TOP-ALLIANCE and/or our partners.